This layer adds support for Elm. To use this configuration layer, add it to your ~/.spacemacs. You will need to add elm to the existing dotspacemacs-configuration-layers list in this file. 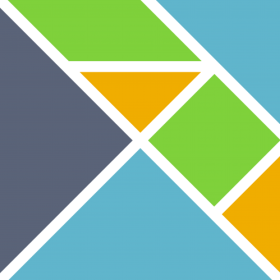 The elm-platform is a bundle of tools, including the elm-compiler, elm-make, elm-reactor, elm-repl and elm-package. Depending on the method of installation, the elm-mode package would need to be able to access commands such as elm-reactor or elm-make. A npm based installer is available to, and provides pre-compiled binaries for certain operating system and architectures. Also, note that you might need to set the ELM_HOME environment variables to the corresponding directory created by the installer. OS X Users facing problems with elm-reactor failing to properly install or run, see this issue https://github.com/kevva/elm-bin/issues/28. elm-oracle can be used to show type signatures and docs for tokens under the cursor and provide support for auto-completion, but it is not part of the standard elm-platform. Both the "company" and "auto-complete" backends are supported, but this layer is configured with company. elm-format can be used to format elm code according to a standard set of rules. elm-reactor is an interactive development tool, used to develop and debug Elm programs. It will automatically compile an Elm program, and run it in the browser, with editor agnostic support for hot-swapping and time-travel debugging. To preview Main.elm, press C-c C-m (or SPC m R m). Alternatively, to preview from buffer, press C-u C-c C-n (or SPC m R n). To preview in debug mode, prefix with C-u (or SPC u). By default, elm-reactor with launch with its own generated index.html. To use a custom html, you'd need to load the debuger excplictly and use an http daemon to serve your custom file. Set elm-sort-imports-on-save to t to sort the imports in the current file on every save.